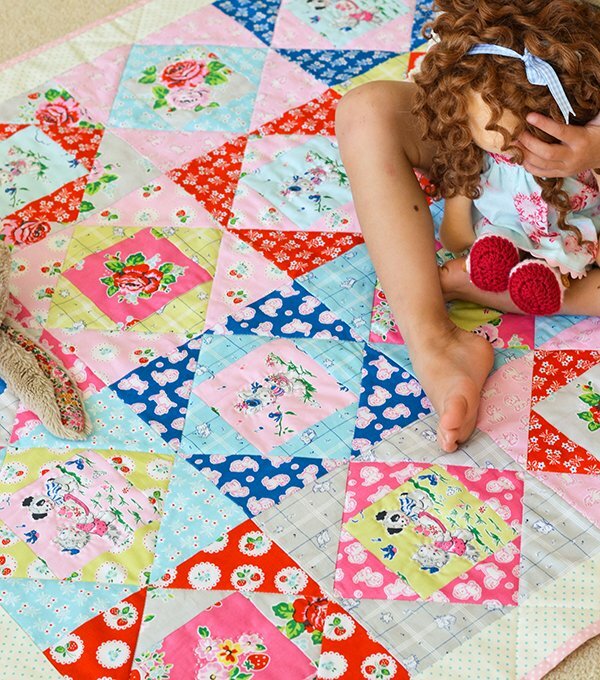 "I made this playmat a while back using Elea Lutz' gorgeous fabric collection, 'Strawberry Biscuit' for Penny Rose Fabrics. 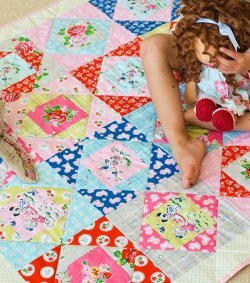 My playmat appears to have become a hit on Pinterest and I have had a few requests to share the tutorial for it. 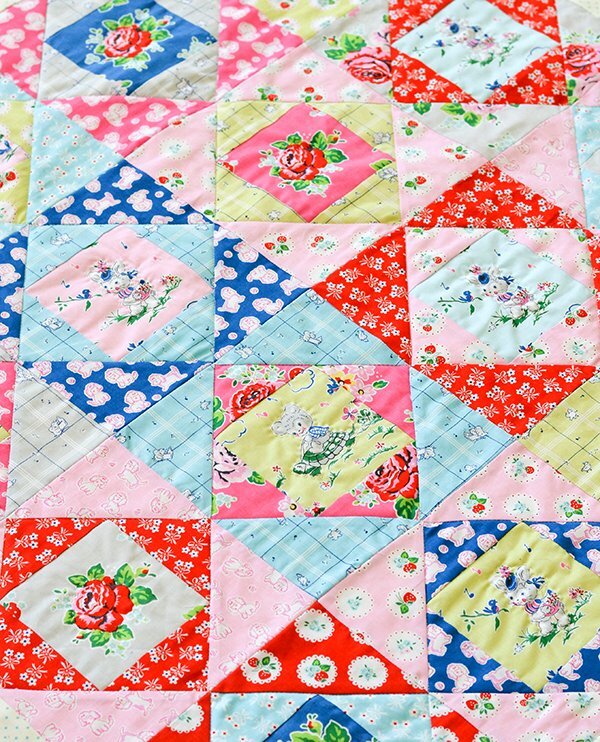 "This playmat is based on a classic quilt block: the economy block. 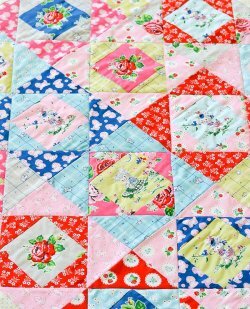 I love pairing classic blocks with repro fabrics, and this block is just perfect to showcase fussy cut centres!"